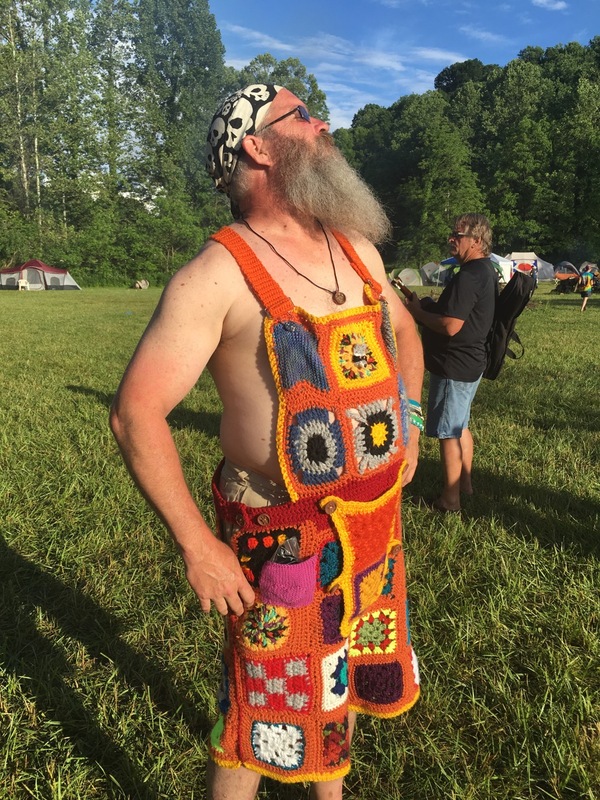 In Episode 13, Greg and Joey talk about knitting superpowers, the next wave in crochet fashion, and Joey’s latest hobby. Special thanks to our new sponsor: Coveted Yarn! Coveted Yarn is a local yarn shop in Gloucester, Massachusetts, and is an authorized dealer of our favorite knitting needles: Karbonz, by Knitter’s Pride. In addition to a great variety of widely distributed yarn, Coveted Yarn offers their own signature line of yarn — Flat Rocks Yarn, which is dyed by the shop owner’s sister. You can also find McPorter Farms knitting accessories and buttons at Coveted Yarn. World-wide shipping is available. Contact them via their website or at 1-978-282-8809 for more information and to place an order. Egg To Owl Reversible Toy — the toy that Greg made after attending the Susan B. Anderson workshop (project page). Greg plans to be in Cary, NC at the Craft Public House at 2pm, then Warm N’ Fuzzy afterwards. Michelle from Actually Knitting organized this great opportunity and will be there, too. The Princess Bride — Greg’s favorite movie. 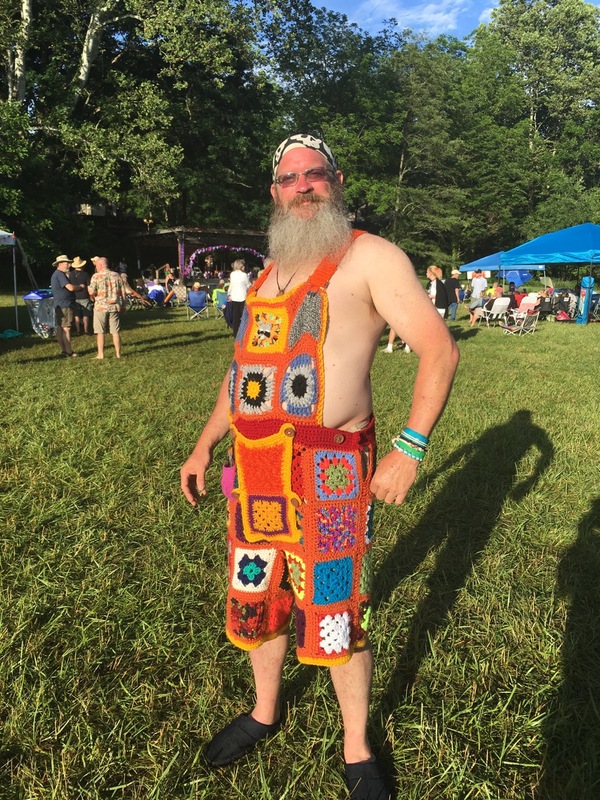 Knitting Superpowers: Paula’s crew at Knitting Pipeline talked about their super powers in Knitting Pipeline Episode 250. The Knitmore Girls talked about theirs in Knitmore Girls Podcast Episode 378. After we recorded, but before we released our episode, we noticed that Ellen and Jan talked about theirs in Twinset Designs Episode 78. What would your superpowers be? Leave a comment in the episode thread and let us know. I Love This Yarn — Hobby Lobby’s house yarn, which Joey found in the perfect orange that he’s been looking for. Ukulele World Congress — Joey had a great time attending UWC again this year. The Clay Purl in Nashville, Indiana– Joey visited this yarn shop while at UWC. The Shabby Sheep and Ewe in Columbus, Indiana — Joey also visited this yarn shop. Knitters Nook in Columbus, Indiana — the third yarn shop Joey visited. TNNA (The National Needlearts Association) — Greg attended the Summer Show and will be talking about those adventures in a future episode. The Americans — based on the recommendation in “TV Time With Joey,” Greg is enjoying the first season of this TV show. Joey is bummed that Season 4 just ended and is looking forward to Season 5. My Egg to Owl by @susanbanderson from this weekend's workshop came out so nice! This was a fun knit. I embroidered eyes instead of using safety eyes. Other than that, did the pattern as written. Cruising along on my shawl design, I've been paying attention to how much yarn I'm using and how much shawl I plan to knit. I'm pretty sure one skein isn't going to quite be enough. Fortunately, the LYS had another skein in the same colorway, so I picked it up during lunch. I now have zero fear of yarn chicken and might make the shawl larger than originally planned, when I thought I might be able to squeak it out of a single skein. Yarn is @thefiberseed Sprout in Spinel. Needles are #Karbonz by @knitterpride. Yarn ball being wrangled by @theyarnit. The hand-dyed "Love Electrified" yarn that @halcyarn sent us for an upcoming KAL prize is going to be hard to let go of when it's time to give it away! Keep an eye on her etsy shop if you want to get her hand-dyed yarn for yourself. Thanks, Kris! An anonymous donor gave @knittingdaddy Greg this Fancy Pants Fiber yarn to use as a giveaway prize on the podcast. We've got some ideas brewing. Stay tuned…. Check out the sweet mini-skeins that @busknitter gave me a few weeks ago when I met her at the @susanbanderson workshop at @fibrespace. And, especially check out the awesome baseball stitch marker! Thanks so much, Sue! Here is a full gallery of pictures of Joey’s first foray into soap making. Previous Previous post: Episode 12: I Am Gandor, Thunder Stealer! Next Next post: Episode 14: Greg’s Not Wearing Any Pants. Avert Your Eyes, Children!